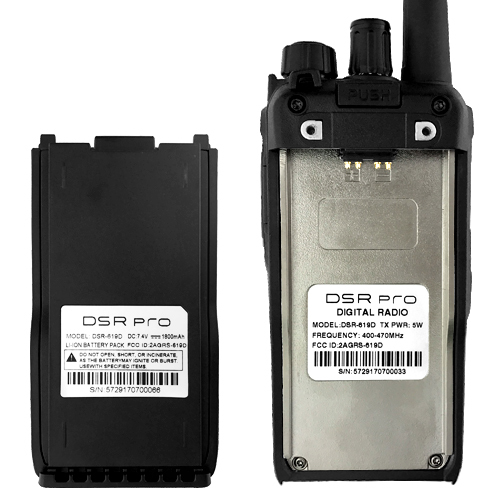 With thousands of radios sold, DSR has become a prominent two-way communications solution over the last 20 years. Providing consumers high quality, tier-one products built to exceed in efficiency & effectiveness through simplicity & affordability. 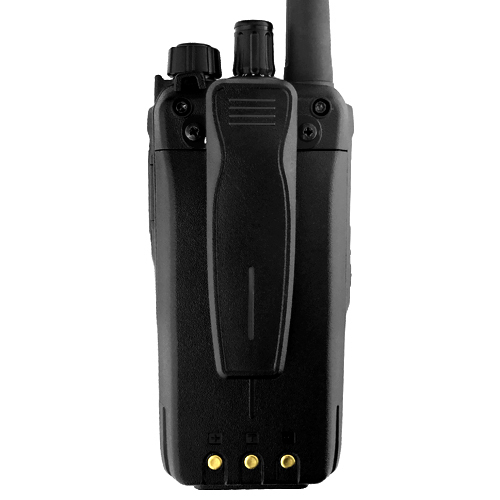 When you buy a DSR radio, you not only receive an excellent communication solution, but world class customer support willing to trouble shoot any issues that may arise. Don't make communication complex. Keep it simple & effective with DSR. 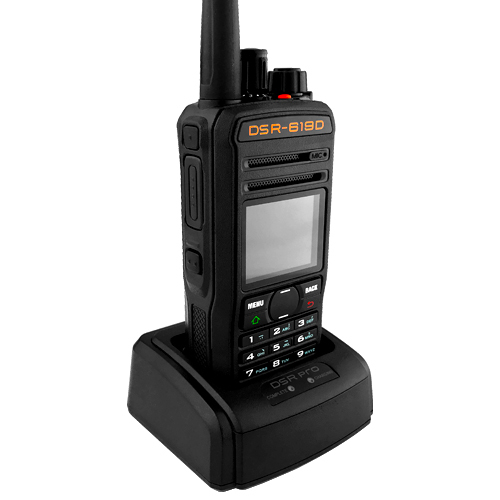 The DSR-619D is constructed using an ergonomic design that is smaller, sleeker, & lighter than comparable models. 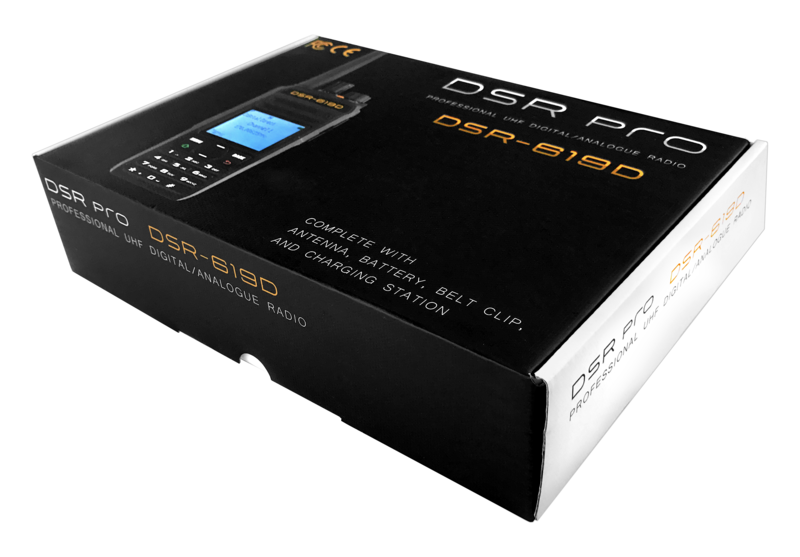 The DSR-619D data protocol is fully compliant with FDMA standards. 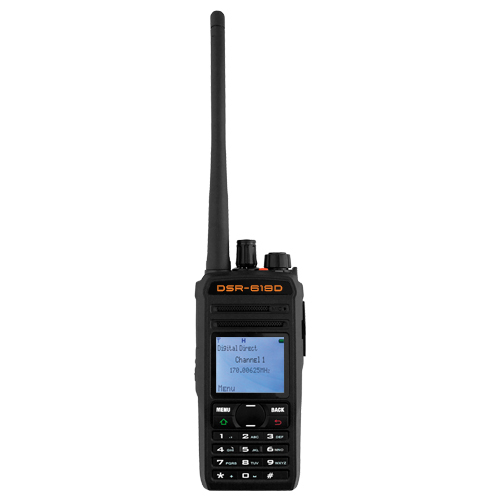 With IP55 certifications the DSR-619D is protected from the effects of rain, water splashes, & dust build up. 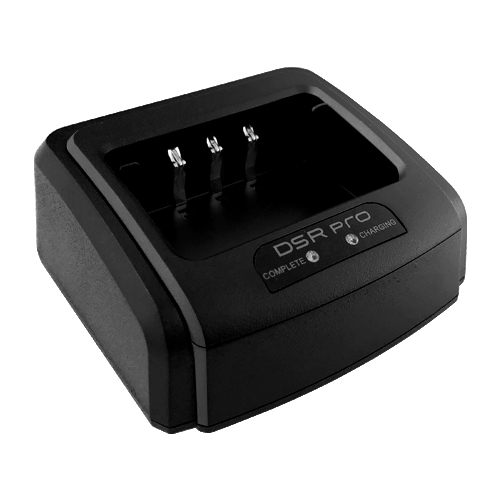 Dual mode operations allow the DSR-619D to be programmed for both analogue & digital use. Optional voice encryption ensures secure communication. 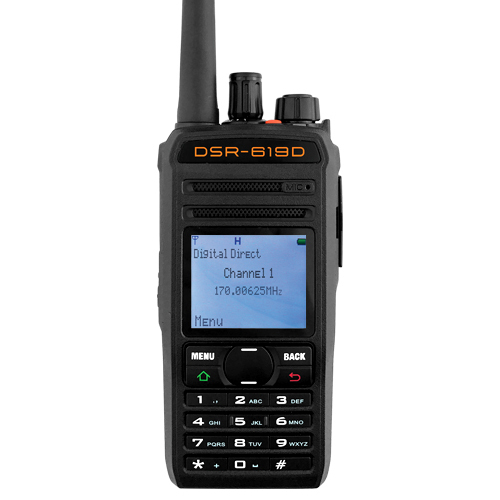 The DSR-619D supports both voice calls & text messaging.